This tour takes you through the scenic foothills and Himalayan Mountains with a fabulous experience of the wildlife, birds and the beautiful flora of the region. Trekking through beautiful unexplored forests with some unforgettable vistas, the treks also provide a glimpse of the lifestyle and unique architecture of the Kumaoni hill folks. 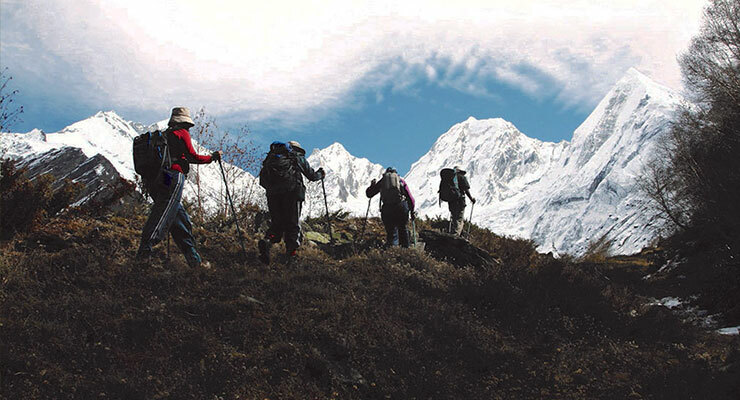 The first trek is an exciting half-day trek to Cheena Peak with a picnic lunch. We take you to a local house to see a magnificent view of Corbett National Park area and villages (where Jim Corbett killed 10ft long tiger called Bachelor of Pawalgarh). Admiring unique local architecture on the way, we stop at Dhamdhamiya for excellent views and Akhorwadi, home to a lot of walnut trees for spotting various woodpecker species and other birds. Along the trek, we also find a lot of diverse landscapes, flora, and fauna. There are deep ravines and small spring water streams created in the monsoon seasons like the one at Borgatti. Salim Dhar (named after Salim, a type of grass) is especially spectacular when the fog covers the whole area making you feel like you are walking in the clouds. Reaching Naina Peak (2311 m) you can enjoy a stunning panoramic view of the Himalayas and get a chance to see close up of the peaks through a powerful telescope. On the downward journey, we get superb views of the lake city Nainital. We then head back to Pangot via Kilbury forest. Full of oak and rhododendron trees, its a great area to spot many birds like Koklas, Kalij Pheasants, Common Kestrel, Grey Winged Blackbird, Black Red Start, Bar-Tailed Tree Creeper etc. You may also spot some animals like Leopards, Himalayan Black Bear, Civet Cat, Porcupine, Deer and Wild Boar etc. Trekking through the forests, you can see lovely sights of traditionally dressed villagers collecting fodder for their cattle and firewood for their homes. A bonfire is the perfect end to the evening, around which the experiences of the trek can be shared. Next comes an easy 5-hour long trek towards Kunjkharak. This forest trek has an altitudinal variation of 2500 m to 450 m bringing the chance to spot an astounding 500 bird species and equally impressive assemblage of mammals, including the elusive Serow. Highly recommended for beginners, this is a trek along old pony trails, dense broadleaf forests and shallow streams. Dense conifer forests of oak and pine open into scenic valleys and gorges. With spectacular views of the icy Himalayas, you pass through colonial-era forest bungalows and small villages and hamlets, where you can see simple hill folks live in harmony with their wild surroundings. Since this area is actually a high pass, it can get very windy and winter temperatures may drop to 0 degrees, with occasional snowfall in the area. Huge rocks in forested ridges make it a good place to sight high altitude birds like Lammergeier, Himalayan, and Eurasian Griffon. Other raptors you may see are Tawny Eagle, Steppe Eagle, and Kestrel. Barely a kilometer after Kunjkharak you get a magnificent 380 km broad view of the Himalayan range. A unique feature of this moist temperate forest is the Khola moss that carpets the floor below. This moss absorbs water and helps in retaining moisture in the forest. However, due to indiscriminate extraction and collection for its use in several cosmetic products, this moss has become highly endangered. Evenings are magical here, as the setting sun transforms the icy Himalayas across Kunjkharak into gold. The third trek is an easy 6-hour long trek towards Akashkhanda. Being miles away from a road, the forest bungalow at Akashkhanda is seldom visited by tourists or even forest officials. Though in a dilapidated state now, this beautiful bungalow is set amidst pine trees and offers complete solitude. On a clear day, you get spectacular views of Nanda Ghunti (20,700 ft) and Trishul (23,360 ft). From here the trek takes us to dense temperate forests dominated by oak, chestnut, and rhododendron, which is a riot of red when in bloom. Birds commonly seen here include the colorful Jays, Magpie, and Thrushes. This area also supports rich mammal life. On the hill slopes you can try to spot the Ghoral (goat-antelope) and on the trail, you stumble upon the occasional pugmarks of the leopard. We camp for the night at Akashkhanda (1600 m). The next day brings us a moderate 8-hour long trek towards Corbett National Park. From here the vegetation gets scanty and the steep ascent can get quite exhausting by the time you reach the small village of Mon. After Mon the trail gets narrow and the climb gets steeper. The vegetation gradually transforms from Coniferous forest to Sal all the way till Kumeria. We go downhill through a narrow broken trail that leads to the village of Okhaldhunga (500m) and then to the village of Damas (600m). The trail is still used by villagers to carry supplies on packhorses and mules. The trek ends at Kumeria; a suspension bridge over the Kosi River at Kunkhet village leads you to the road ahead. From there, you are taken to a wildlife lodge at Corbett, called Tiger Camp for an overnight stay. 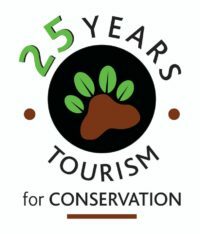 Established in 1936, Jim Corbett National Park is the first wildlife reserve of India and also the first reserve to come under Project Tiger in 1973. It was named in the honor of Jim Corbett, legendary hunter-turned-conservationist, best known for hunting man-eating tigers and leopards in the Kumaon and lower Garhwal in the 1920s. Corbett Park provides the fantastic opportunity for viewing wildlife, especially the tiger in its natural habitat. The main animals found in the Corbett National Park include the Tiger, Elephant, Chital, Sambar, Nilgai, Gharial, King Cobra, Muntjac, Wild Boar, Hedgehog, Common Musk Shrew, Flying Fox, Indian Pangolin and nearly 600 species of birds. Drive from Delhi to Pangot in the morning at 0600 hr. The last 50 km drive is through the scenic hills and the forested area of Cheena Peak Range via Snow View Point and Kilbury, the main habitats for wildlife. Day free with your guide for a short trek to familiarise with the area. Overnight in Jungle Lore Birding Lodge or Kafal House. Today we leave for an easy 5-hour long trek towards Kunjkharak. Overnight at a camp at Kunjkharak. Today we leave for an easy 6-hour long trek towards Akashkhanda. We camp for the night at Akashkhanda (1600 m). Today we leave for a moderate 8-hour long trek towards Corbett National Park. The trek ends at Okhal Dunga. From there, you are taken to Tiger Camp resort at the Corbett Park for an overnight stay. Morning jeep safari to the park for tiger tracking and wildlife viewing. Duration of the ride is about 03-04 hours. Return to Tiger Camp. After quick breakfast, check-out and drive back to Delhi (7 hours). Arrive Delhi in the evening and drop to Delhi airport. Tour ends.